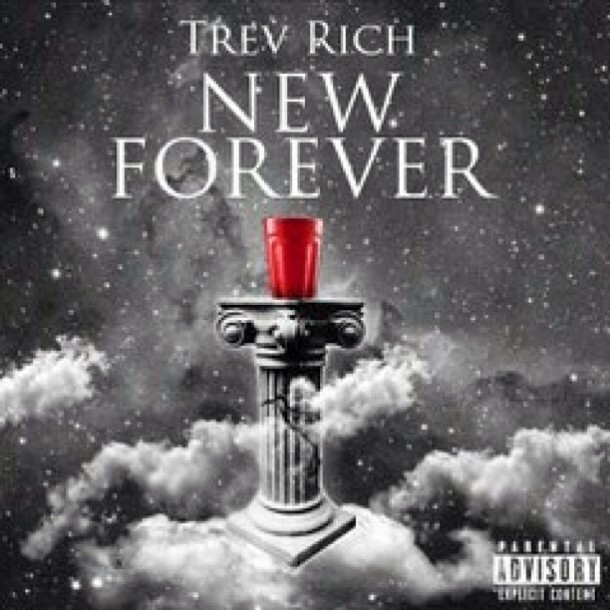 Trev Rich took the time out of his weekly commitment to Thursdays to bless another day with a release of a record. “LA Interlude” came out of nowhere on Sunday 11th of August, before it was even announced it was being released it felt like my timeline had links to the Soundcloud stream, and before it was even completely loaded it was gaining views according to Trev’s promoters tweet. I highly anticipated “LA Interlude” because in the past, Trev’s greatest songs have been interludes. “Dreams” from Joe Budden’s “A Loose Quarter” mixtape is undoubtedly the key component in why Trev Rich is as successful as he is right now, where as “The Way You Love” from “Heights” was a personal favourite for me. Seeing as the Denver rapper is known for his consistency – I write about it every time I review one of his singles or features – it was almost impossible that this song wasn’t going to impress my ears and engross a whole new generation of fans. The beat, produced by Brinky Beats, is typically, majestically melancholic to add a disorientating juxtaposition to the love-song (And according to Jimmie Murphy Drake-esque) lyricism. “How could I break a heart that simply just made mine beat” Trev spits, walking the thin line between aggression and romance with his emotive delivery before insisting that the anonymous addressee “will always be [His] LA”. The song is something new from Trev as far as I’m concerned. Neither “Heights” nor “Heights 2” featured an outright, unquestionable love song, and as much as I like it, it definitely feels as though this song was created to please the ladies of Trev’s constantly growing fanbase. The track isn’t as career-changing as “Dreams” or as poetically quotable as “The Way You Love” but after only a handful of listens I prefer it over the latter. Maybe the Houdini metaphor is accurate, because magic could be behind Trev’s ability to be so consistently brilliant and he might just be the first to escape the box of Colorado Hip Hop if “New Forever” is as good as we’re all expecting. Listen to “LA Interlude” (Click Here) and let us know what you think in the comments below!